Phone: 218-388-2242 or 888-898-BWCA (2922). You can reach us on Facebook as well, send a message! Google maps puts us down the road a bit, so watch for the signs around mile 31, just after the Moose sign (Poplar Haus) and the Bear sign (Big Bear Lodge). We are located 31 miles from Grand Marais directly off the Gunflint Trail. Turn off highway 61 in Grand Marais onto the Gunflint Trail (county road 12) and travel for 31 miles watching for signs. Our sign is painted red and will be located on the right of the road, the turnoff into Rockwood will be on your left. Airports: If you choose to travel by plane, the nearest main airport is Duluth, Minnesota. Grand Marais has a small, private plane airport. 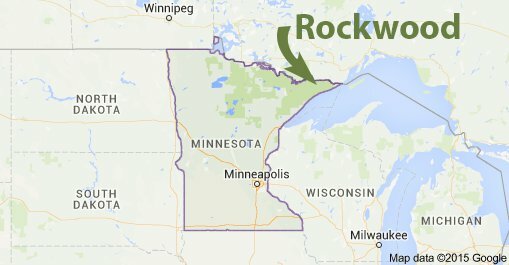 Into Duluth: The Duluth Airport is approximately 2.5 hours driving time to Rockwood. Into Minneapolis: Most major airlines fly into Minneapolis airport. 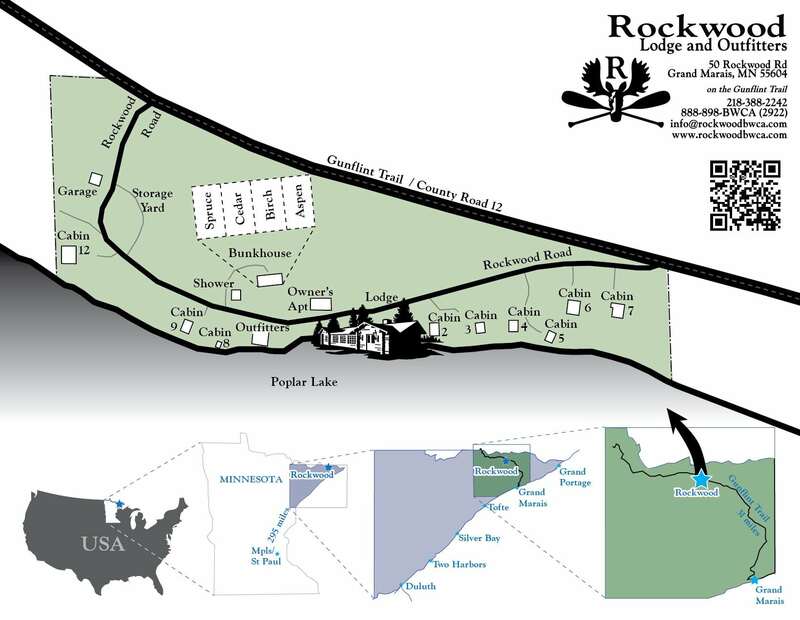 It is approximately 5.5-6hrs driving time, from the airport to Rockwood Lodge.